Sports Rendezvous: Oghenakaro Etebo: Super Eagles midfielder says he turned down Premier League clubs to play for Stoke City. Oghenakaro Etebo: Super Eagles midfielder says he turned down Premier League clubs to play for Stoke City. Several Premier League teams were interested in signing Etebo but he preferred Stoke City. uper Eagles midfielder Oghenakaro Etebo has stated that he down turned down a move to several Premier League sides to play for Stoke City in the second division. 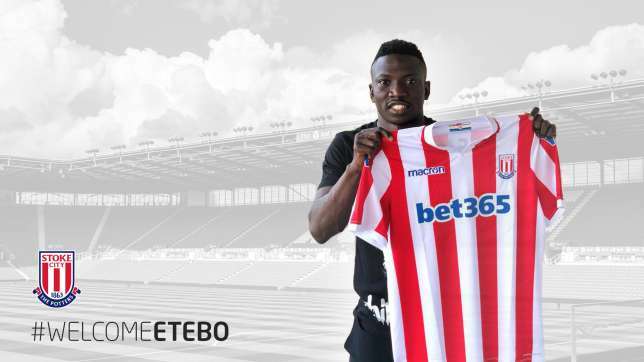 Etebo signed a five year deal for Stoke City which means he will play in the English Championship this season. In an interview with Stoke City’s official website, Etebo revealed that he had several options to chose from but decided to move to the potters before the 2018 FIFA World Cup. He said, “I feel great, I am finally here and I really appreciate the support and the welcome that everybody has given to me. ''I had a lot of options this summer from the Premier League, but I signed this deal before I went to the World Cup, and I am happy with that."